Pharmaceutical Stainless Supplies are leading edge providers of stainless steel Products and Solutions specialising in a variety of industry's including Pharmaceutical, Biotech and Hospital services. Established in 1990 and based in Sligo, North West Ireland, the company has forged an enviable reputation as a stainless steel manufacturer of choice. Accuracy and meticulous attention to detail reflects our manufacturing hallmarks in the delivery of a customised, quality assured service to meet your specific design requirements. 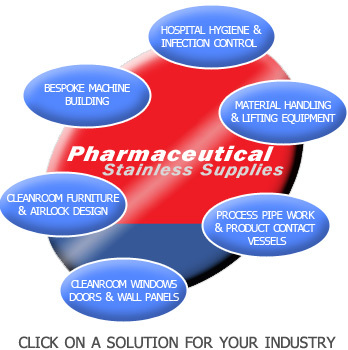 Pharmaceutical Stainless Supplies have knowledge and experience across a wide range of industries and materials.